British oil giant Shell could be forced to pay out millions in compensation to rural Nigerian communities hit by repeated oil spills in the Niger Delta region. Two separate legal actions are being brought against Shell by British law firm Leigh Day over the oil company’s practices in Nigeria. 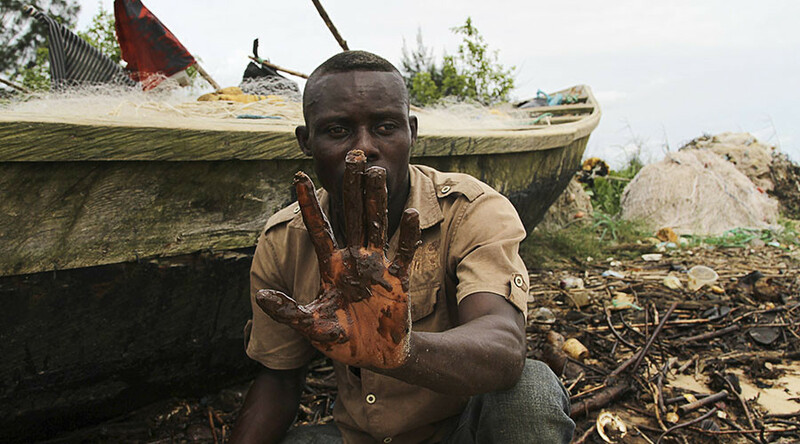 The human rights law firm previously represented the Bodo community against Shell, forcing the oil giant to pay £55 million to 15,600 Nigerian fishermen whose livelihoods had been destroyed by oil pollution. Although the landmark legal victory signaled hope for Bodo residents, hundreds of Niger Delta communities continue to be exposed to catastrophic pollution from Shell pipelines. The latest claims against Royal Dutch Shell (RDS) and its sister firm the Shell Petroleum Development Company of Nigeria Ltd (SPDC) have been issued in London’s High Court on behalf of residents from the Ogale Community in Ogoniland and the Bille Kingdom. Ogale is situated in the Nchia region of the Eleme Local Government Area (LGA) of Rivers State in Nigeria. It has a population of more than 40,000 people, most of whom have traditionally relied on the nearby Ogale Stream, its tributaries and waterways. Ogale has suffered repeated oil spillages across much of the region since the late 1980s. Pipelines and infrastructure in Ogale are several decades old and in a state of disrepair, placing the region in jeopardy of oil pollution. Typically, such pollution causes long-term contamination of local land, swamps, groundwater and waterways. Ogale residents say oil contamination continues to affect fishing and farming in the region and has almost led to the demise of the community. Locals argue they have not been offered clean drinking water consistently, despite the United Nations (UN) insisting such a measure is urgent. Although the Ogale Community has extended repeated invitations to Shell to meet with its leaders, Shell has refused to attend or agree on a compensation and clean-up program. The community is now suing Shell for compensation and seeking to have all environmental damage sustained rectified. The Paramount Ruler of Ogale HRH Emere Godwin Bebe Okpabi said the Ogale community’s plight has fallen on deaf ears. “Shell have polluted our land and our streams and drinking wells for years. Even when the UNEP report suggested that something urgent should be done, Shell did not even come to see our community or to talk to us,” he said. The Bille Community, in the Degema Local Government Area (LGA) in River state, Nigeria, has also suffered from repeated oil spills. Populated by almost 13,000 residents, it consists of an array of island towns and fishing settlements surrounded by water. Like the people of Ogale, residents of Bille have traditionally depended on fishing. 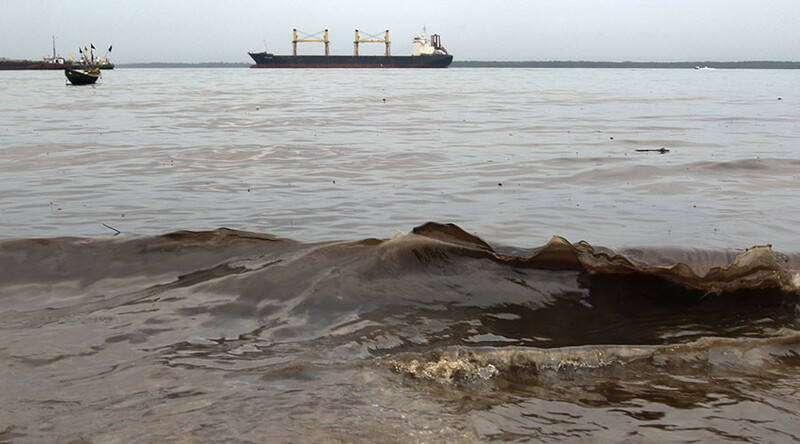 But in the aftermath of several spills from an oil pipeline known as the Nembe Creek 30” Trunkline (NCTL), their livelihoods have been shattered. Properties have been damaged, with residents forced to place sandbags outside their houses to stop oil from seeping in. Locals also allege that 3,200 hectares of mangrove have been damaged by the pollution, while local creeks and island villages have also been devastated. Bille residents are suing Shell for failing to protect local pipelines adequately from damage caused by third parties. Partner in the International Group Claims team at Leigh Day, Daniel Leader, said Shell’s practices in the Niger Delta are a disgrace. “It is scandalous that four year after the UNEP Report Shell is yet to clean up its oil in either Ogale or Bille. Our client’s patience has now run out and we intend to force Shell to act since it is clear they have no intention of doing so on their own,” he said. UNEP’s testing uncovered serious contamination of farmland and waterways in the community as well as local groundwater. Water in the Ogoniland regions was revealed to be unfit for human consumption, while levels of oil contamination in the groundwater were found to be 1,000 more concentrated than levels permitted under Nigerian law. UNEP recommended introducing emergency measures to offer adequate sources of drinking water to households that have been affected by oil spills and immediate steps to stop existing contaminated sites from causing further environmental devastation. It also called for a substantial program to clean up polluted sites. Although Shell said it accepted the UN’s findings when the report was released, it failed to clean up impacted sites or comply with any of the UN’s recommendations. Lawyers representing members of the Ogale Community say they are plagued with severe land and water pollution. Amnesty International has also criticized pollution levels in the Ogale community. Last year, the human rights group published a damning report saying Shell had failed to clean up damage caused by oil spills in the region in line with the UNEP’s recommendations. The report also criticized Shell for neglecting to clean up three other oil spill sites that had featured in UNEP’s assessment.